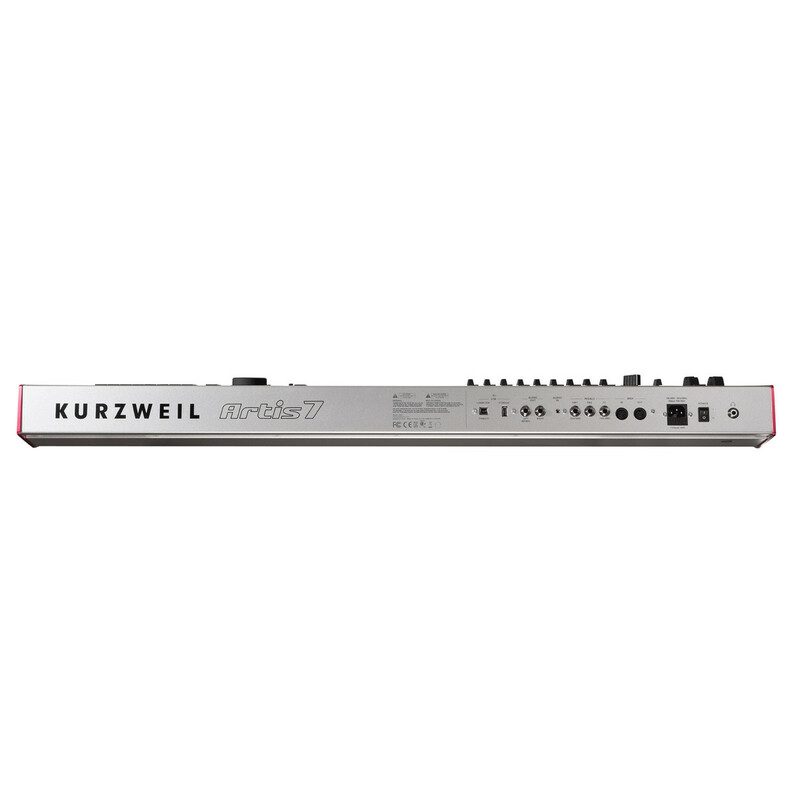 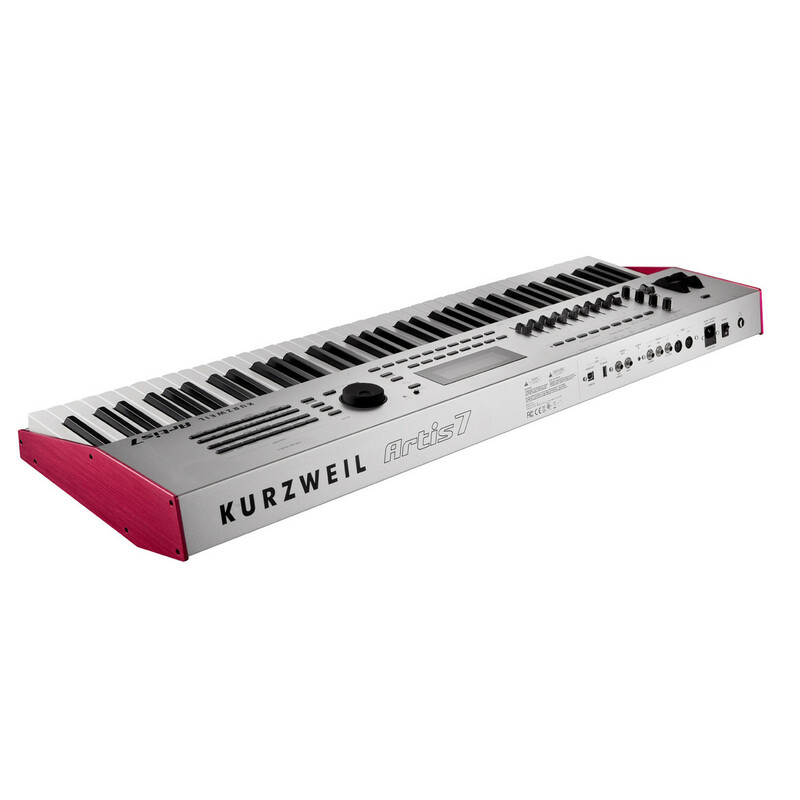 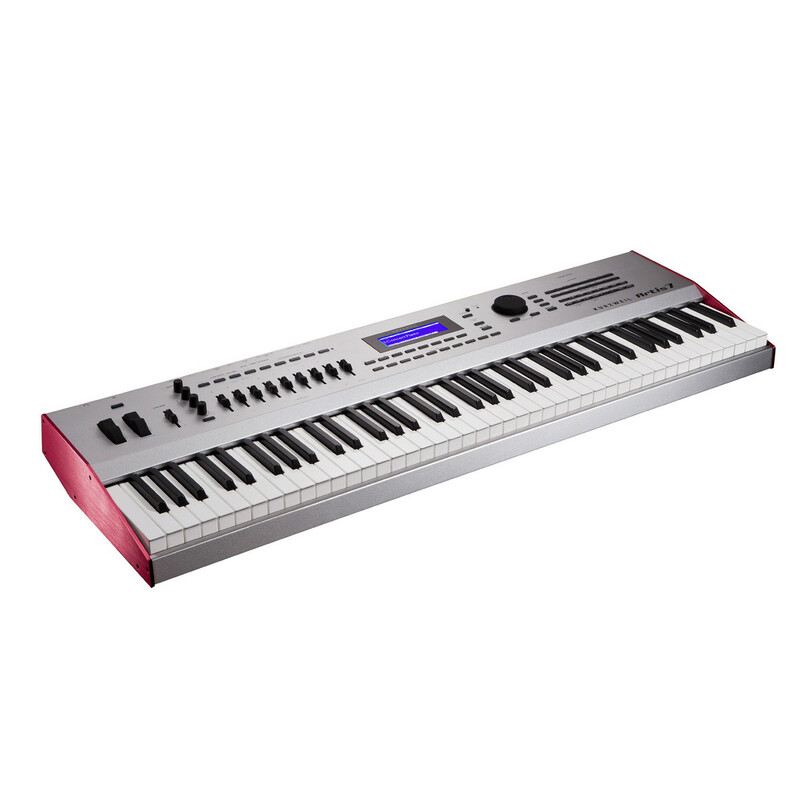 The Kurzweil Artis 7 is a versatile performance keyboard with 76 semi weighted keys and variety of professionally voiced and sampled instruments. 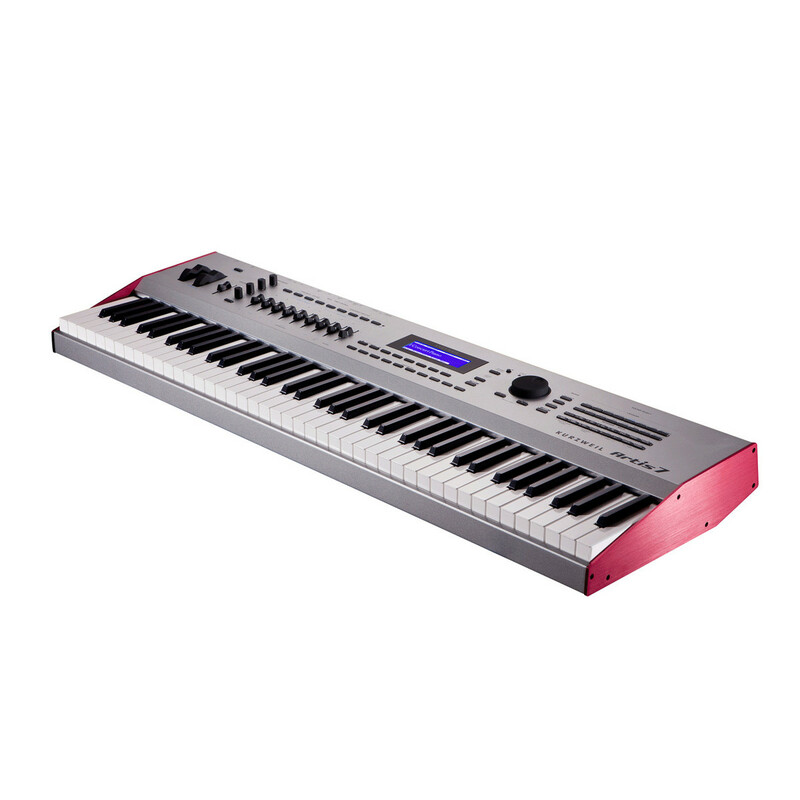 Featuring instruments from the PC3 Pro series sounds, KORE 64 synths, guitars and percussion and KB3 ToneReal organs the Artis 7 provides an array of tones whilst the LCD screen, pitch and mod wheels, 3-band eq and MIDI connectivity and USB/Computer customization provides complete control of your playing. 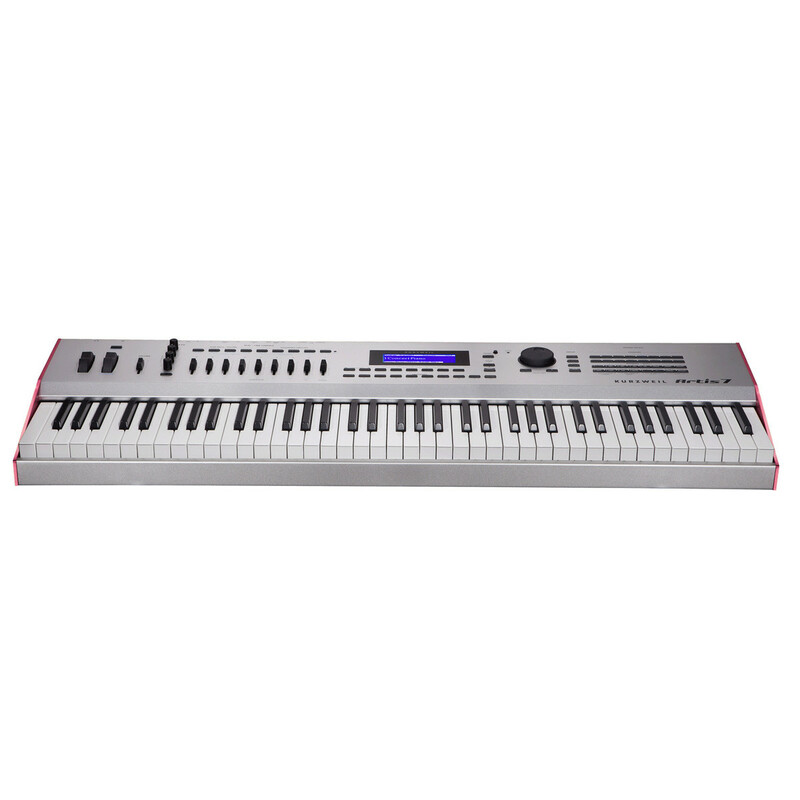 Software Updates and Data Storage via USB/Computer and USB Flash Drive.